These are the retro panelled aprons from the British quality textiles manufacturer C'est Ca. They come in a red and white polka dot 'Belle' design. They feature a flared design made up of five panels. 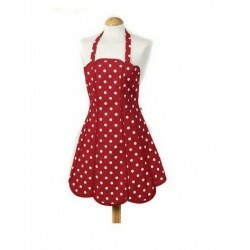 Pretty Aprons from Posh & Pans. 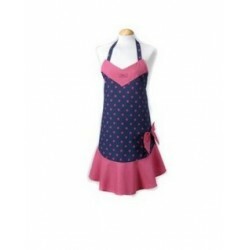 This beautiful Apron is suitable for keen cooks who want to look elegant in the Kitchen.